That you so much Savvy Schooling! 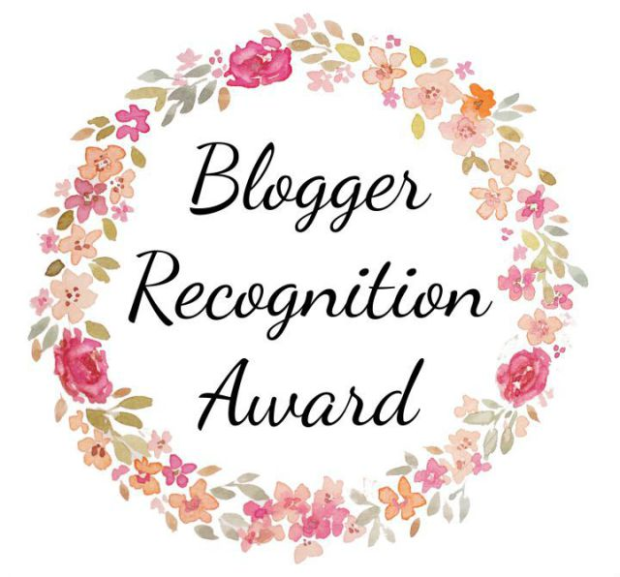 I could not believe when I saw that I had I had been nominated for a blogger recognition award. I was flattered and touched to know that my posts were reaching out to others. I write because I genuinely love to write and share what we are doing and learning but it was so nice to hear how much someone enjoys looking forward to reading what I have to share. Here's my award; isn't it pretty!?! I started my blog as a way to catalog what we were doing in our homeschool and to keep myself accountable for teaching my boys. I was unsure of what we were doing and knew I wanted to have some sort of a record of our days to look back on. I never expected my blog to grow into what it has become today and I am so happy to be sharing our activities, ideas, and experiences with others in the hopes of helping others. I would encourage new bloggers to keep at it. Just write! Write and share and keep writing. Don't worry at first who is reading or what you "should" be writing about. Be authentic, write about what is important to you and the rest will follow. That said I would recommend learning a bit about blogging as you go along. I wish I had started taking my blog just a bit more seriously a bit sooner. I had a good three years under my belt before I turned my blog into something more than what was essentially an on-line diary. I read a lot of articles and books about blogging and I am always trying to improve. A wonderful blog about homeschooling, parenting, and living life naturally. I find myself nodding along to Erin's posts each day as she blogs about nourishing her children's love of nature and learning. I love reading homeschooling blogs about children who are older than mine. It helps me get a sense of what life might by like in a few years. This blog is filled with arts and crafts ideas, curriculum reviews and day in the life posts. As a homeschooling mom of 11, Shelly posts about homeschooling and I find her advice is always spot on! I just love reading these posts that always put a smile on my face. This large fun loving homeschooling family from across the pond is always up to something! Megan blogs over at Linger Pleasantly about homeschooling her family; often while on the road travelling with her husband's job. While Andrea's blog is not at all about homeschooling and focuses mainly on food, fun and fashion I still find that we often seem to be kindred spirits and I enjoy it immensely! With a title like Homeschool Your Boys how could I not love this blog? I have found so many helpful posts and ideas for homeschooling my boys. I have downloaded so many free printables, mini units, and ideas from this website that I just had to include Homegrown Learners on my list. This fun homeschooling blog covers everything from teaching music and art to curriculum reviews and how to's. Marilyn's is my go to blog for recipe ideas! Her food ideas are so yummy and often easy to whip up. She also hosts a lot of fun linky parties. Tara blogs about homeschooling, parenting, and offers so many fun and unique printables. What blogs are on your "must read" list? Who would you recommend? You're so sweet and amazing for nominating me!!! I'm excited to check out some of these others blogs too. Happy Sunday pretty lady!! Thank you Joanne for thinking of me! I am honored and speeckless. I will be getting to my post this weekend! Have a lovely week! It is so kind of you and I feel very honoured. I'm sorry it took me so long to write this but we are in exam mode at the moment and I feel a little snowed under....last exam today thank goodness so life will soon return to normal. Congratulations and thank you so much for nominating me! I'm in a very busy season right now, but I look forward to sharing the award on my blog and recognizing some of my favorite bloggers as well. You're welcome! I can't wait to see who you recognize when you get around to it.